Winterbrook Estate Agents - News- Barbecues And Blazes! While a sizzling barbecue, warm sunshine and plenty of booze might be many people’s idea of a perfect summer’s day, it can also be a recipe for disaster. According to Leading Insurance Companies, Brits have caused a staggering £617 million of fire damage to their properties after barbecuing drunk. Brits need few excuses to crack out the barbie ­– or indeed the beers – and one in four (25 per cent) will be drunk every time they take charge of the charcoal. However, the garden is often a hive of flammable features – from gazebos to sheds and even trees – and Brits have been responsible for reducing 1.5 million garden features to cinders in the last two years after accidentally starting inebriated infernos. However, it is during the upcoming, action-packed summer of 2012 when barbecuing under the influence is predicted to reach new heights. That’s with the revelation that millions of Brits are already penciling in boozy barbecue parties to coincide with the UEFA European Football Championships (22 per cent), The Queen’s Diamond Jubilee (20 per cent) and the Olympics (19 per cent) – which could result in over 900,000 garden fires before August is out. 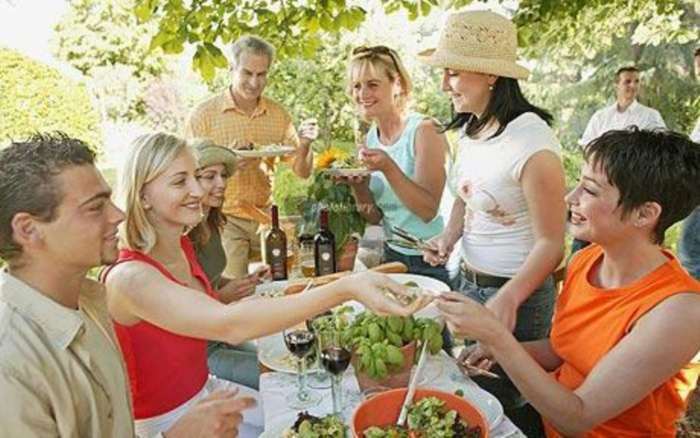 The unofficial title of ‘Head Barbecue Chef’ is often a male-dominated one, so it is perhaps unsurprising to hear that the worst offenders of drunkenly grilling the garden are men – being responsible for the majority of incidences reported (80 per cent). However, it would seem when the girls get behind the barbecue that the heat is truly turned up, with women causing an average of £525 worth of drunken property damage compared to £383 for men. Despite spreading like wildfire across the country, it is in the East Midlands where barbecuing under the influence is most commonplace – with 38 per cent of respondents from the region guilty of starting a backyard blaze. Following closely behind are Brits in the northwest (26 per cent) and Wales (24 per cent), while those in the Southwest report the lowest number of incidences in the country (4.5 per cent). 1. Never use the barbecue when drunk – even if you miraculously avoid setting the garden on fire there’s a good chance your impaired judgment will result in undercooked (or severely overcooked) food that is unsafe to eat, or you could easily give yourself a nasty burn. 2. Anything wooden could be a fire hazard – ensure the barbecue is positioned well away from the shed, garden fence or trees. 3. Never use petrol to ignite a barbecue – stick to using firelighters and coals. 4.Disposable barbecues are fires waiting to happen - always ensure they are placed on a non-flammable surface and make sure they are completely extinguished before disposing of them. 5.Brave the smoke – never leave the barbecue unattended while it is in use.